The new Fiat Punto Evo just made things a lot more interesting in the premium hatchback segment. It’s got good looks, great features and widely acclaimed handling and performance. However, the competition has also become a lot tougher with a slew of new launches and upgrades by its rivals. Here we pit the Fiat Punto Evo against five of its biggest competitors to see how it offers a much better overall package. 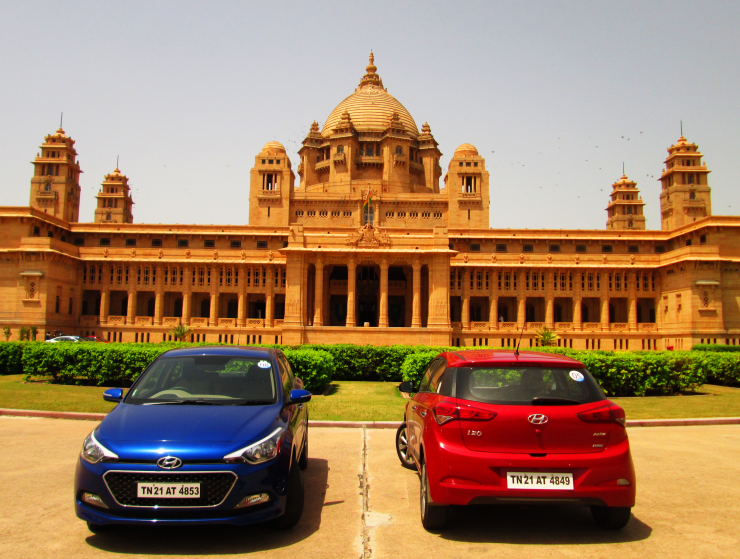 The Hyundai i20 is probably one of the Fiat Punto Evo’s biggest competitors. Customers generally are attracted to the features that the Hyundai i20 Elite provides. However, just an overdose of features does not necessarily make the car great value. 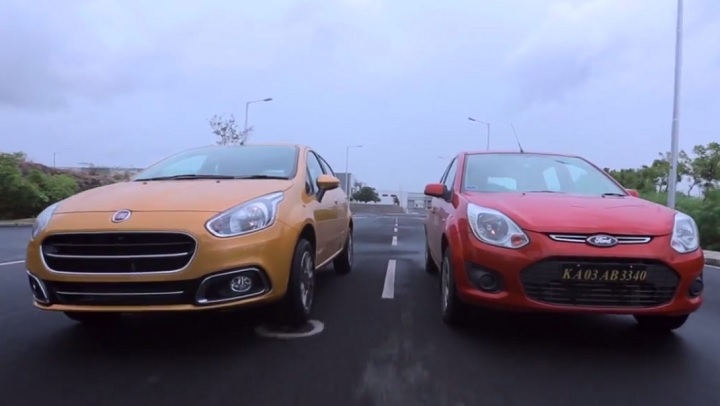 Here’s where the Punto Evo clearly is better than the new Hyundai Elite i20. Pricing: The Fiat Punto Evo is priced between Rs. 4.56 lakh for the base petrol variant and going up to Rs. 7.20 lakh for the fully loaded top-end 90HP diesel variant, across a total of seven models. The Hyundai Elite i20 is priced at a premium, between Rs. 4.89 lakh for the base Era petrol variant and going up to Rs. 7.66 lakh for the top-end diesel variant. Ground clearance: The Fiat Punto Evo has near SUV-like ground clearance of 185 mm for most variants and 195 mm for the Active variant. With that kind of ground clearance no obstacle is a problem for it, unlike the Hyundai Elite i20 which has slightly improved its ground clearance to 170 mm from 165 mm earlier. Handling: The Hyundai Elite i20 still suffers from poor steering response despite improvements. The electronic power steering in the i20 feels a bit too light. However, enthusiasts love the response from the hydraulic power steering in the Fiat Punto Evo which gives a precise feel of the road and therefore better confidence. Build: Shut the doors of the Fiat Punto Evo and you will be rewarded with a reassuring thud, going to show the much stronger build quality of the car, which can withstand years of rough use. The Hyundai Elite i20 on the other hand feels quite delicate. Pricing: Again, the Fiat Punto Evo has an edge over the Volkswagen Polo as it is much cheaper and offers better value. 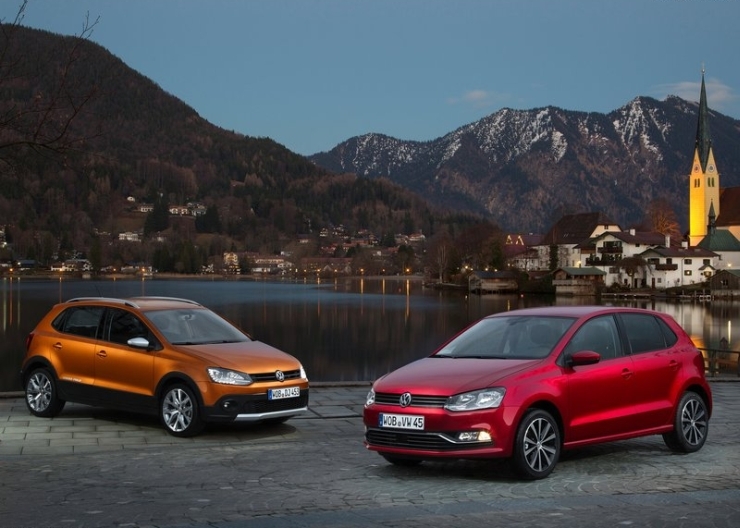 The Volkswagen Polo is priced between Rs. 4.99 lakh for the base petrol variant, going up to Rs. 7.37 lakh for the regular diesel and Rs. 7.99 lakh for the top-end GT TDI diesel variant. Space: The Fiat Punto Evo clearly has more space in it, especially in the rear seat, which is one of the weak points of the Polo. Boot space is roughly similar in both cars at 280 litres, but the Fiat Punto Evo offers more flexibility because of the 60:40 split folding rear seats. Features: While the Volkswagen Polo is pretty well loaded with features – automatic climate control, Bluetooth, airbags etc, the Fiat Punto Evo offers some more convenience features such as rear AC vents, SMS read-out feature and follow-me-home headlamps. Performance: For performance seekers – the Fiat Punto 90HP diesel variant offers better power and torque (93PS / 209 Nm) and better power-to-weight compared to the Maruti Swift (75PS / 190 Nm). 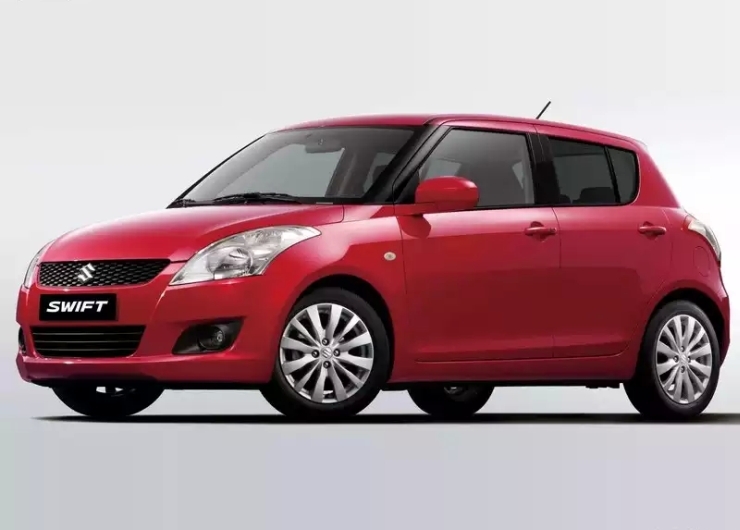 Handling: The increased ground clearance in the Fiat Punto Evo and the hydraulic power steering set up with the widest tyres (195 mm width) compared to the Swift (185 mm width) make it handle a lot better in rough conditions as well as at high speed. Features: When it comes to features the Fiat Punto Evo is clearly ahead – ambient lighting, Bluetooth with SMS readout, rear AC vents, smart wiper system, follow-me-home headlamps are some of the features the Punto offers that the Swift does not. 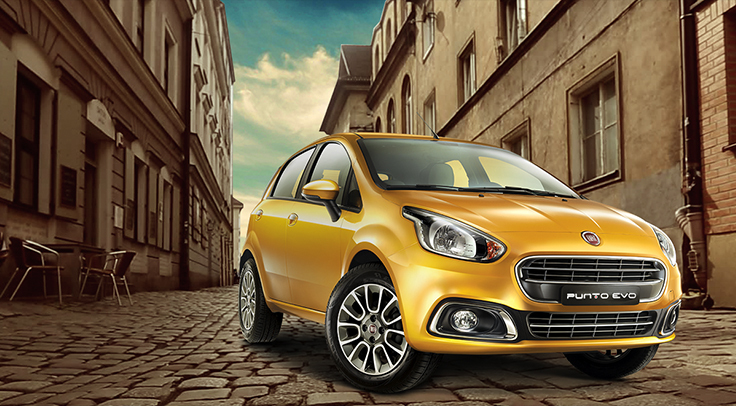 Space: The Fiat Punto Evo is significantly bigger than the Swift in dimensions and overall interior space. Rear seat space is better as is boot space (280 litres vs 205 litres). The Ford Figo is seen as a great value-for-money car and is not really a premium hatchback in that sense as it straddles two segments. However, given its size and space, it is a worthy competitor. Here’s how the Punto Evo stacks up. 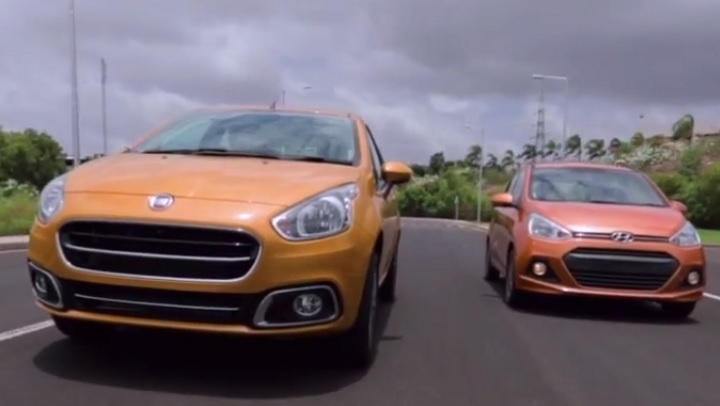 Ground Clearance: The Ford Figo and the Fiat Punto are at two ends of the ground clearance scale. Ground clearance at 168 mm in the Ford Figo is an issue as most users complain of the car bottoming out on large speedbreakers. No such problems for the Fiat Punto Evo with 185/195 mm of ground clearance. Performance: The Ford Figo diesel puts out just 68PS and 160 Nm of torque from its 1.4 litre engine. The Punto Evo offers a choice of 75PS / 197 Nm or 93PS / 209 Nm. Both cars have hydraulic power steering and are known for their ability to please drivers. The Fiat Punto Evo is also better on fuel efficiency. Features: When it comes to features the Fiat Punto Evo has a lot more to offer. The Figo is relatively bare bones in comparison with no rear power windows or automatic climate control available on any variant. Ground clearance: If you are looking for a car to handle all Indian road conditions, the Fiat Punto Evo is better as it has more ground clearance, wider tyres and a better suspension compared to the Hyundai Grand i10 (165 mm ground clearance). Features: Although the Hyundai Grand i10 is loaded with features such as keyless entry and push-button ignition, the Fiat Punto Evo has more essential features such as automatic climate control, SMS read out, ambient lighting and clear fuel consumption display for the mileage conscious. Performance: The Fiat Punto Evo has more power and torque to offer than the Grand i10 diesel (71 PS / 160 Nm), and it has a hydraulic power steering set up that is better performing than the electronic power steering unit in the Grand i10 that feels quite light.